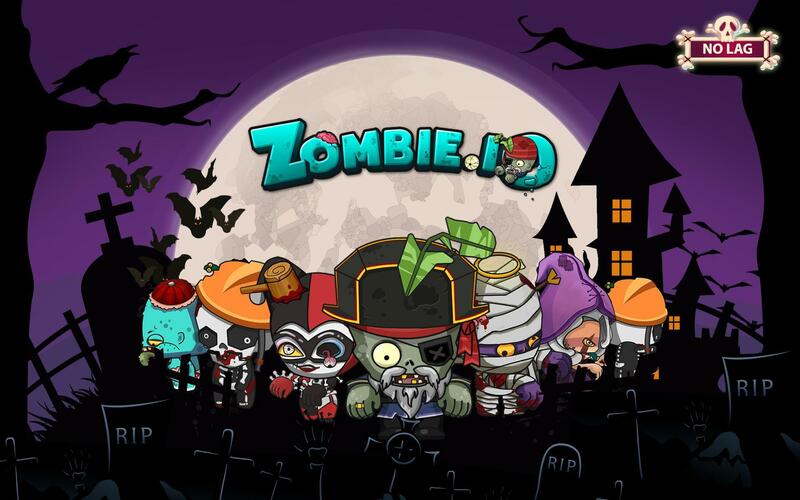 ZOMBIE IO WITH NEW THEME - 10 UNIQUE SKINS TO CUSTOMIZE. In 2080, World War III happens, country frontier changed, all humanity is infected by the poison of war and pollution. Natural disasters such as tsunami, earthquake becoming more common, all plants die and human has no food and oxygen, it’s so hard for people can live in this world. There is a talented doctor named Neo had tried to change the human race DNA to help them survive in this polluted world. Unfortunately, this project was not successful, the doctor had made a mistake in human DNA and zombies were born. The first zombies escape from the lab and human race is their target. The sombie age begun then, and no one can stop them. Every single one has turned into zombies, the rules of the future are simple: crawl, slither and eat all human brains - the only power to survive and grow up. 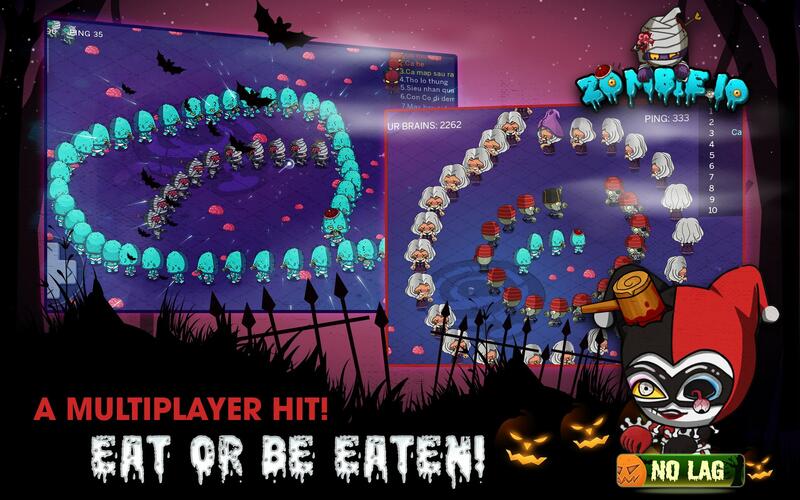 Zombie.io: Slither Hunter has been developed by G2 Studio, the newest online smash hit mobile game comes to all of you ! 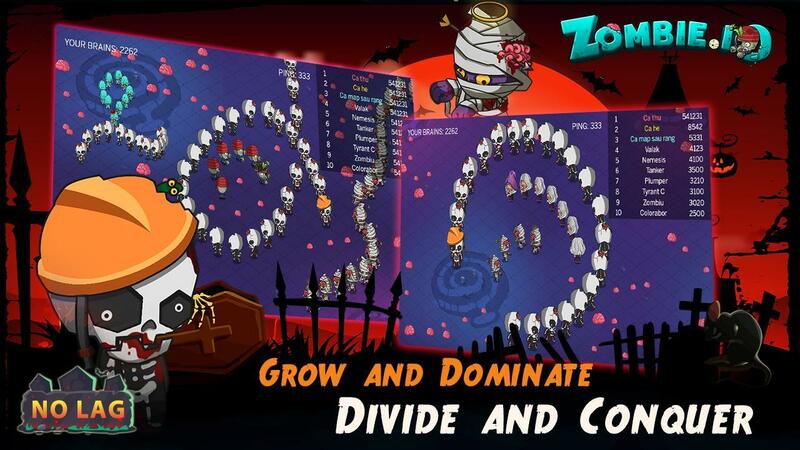 Choose your own zombies, eat brains and kill other zombi lines to reach the top of leaderboard. 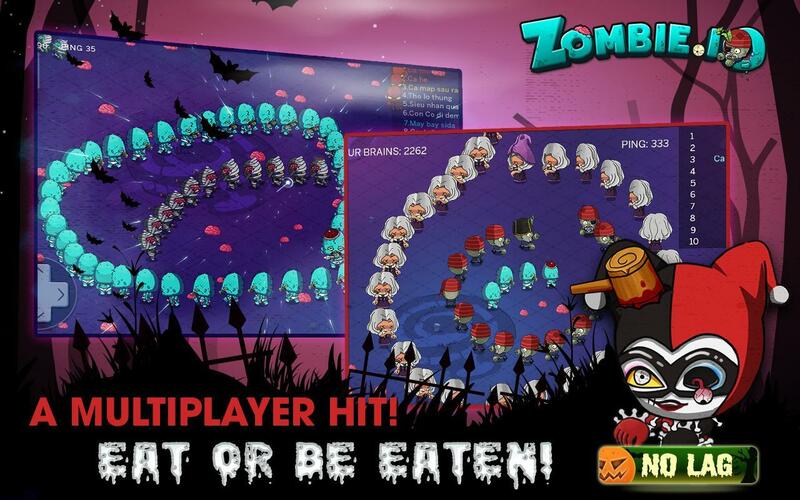 For each brains you eat, your zombi line will be longer. 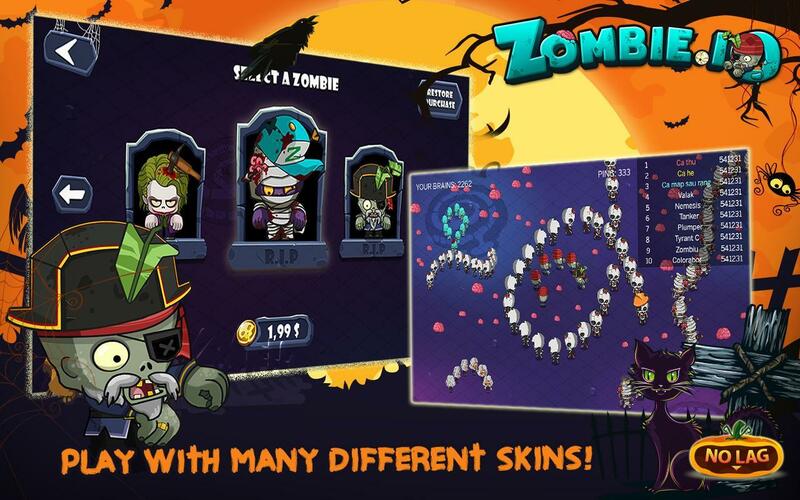 Each zoombie line contains identical zombies like: Joker zumbi, Spider sombie and Harley zombie. 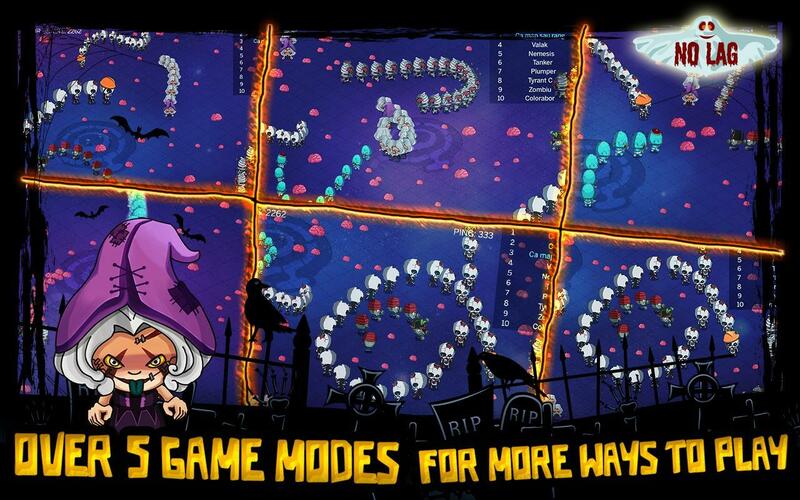 Beside brains, there are some special pumpkins for you to eat, they will help you so much. INTERESTING AND SIMPLE TO PLAY! 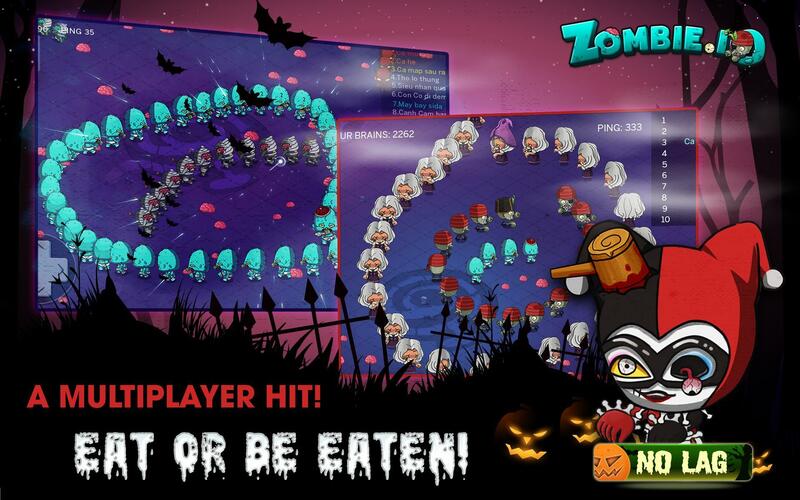 Tap the screens to make zombie run, eat brains to make your zombi line become bigger and longer. 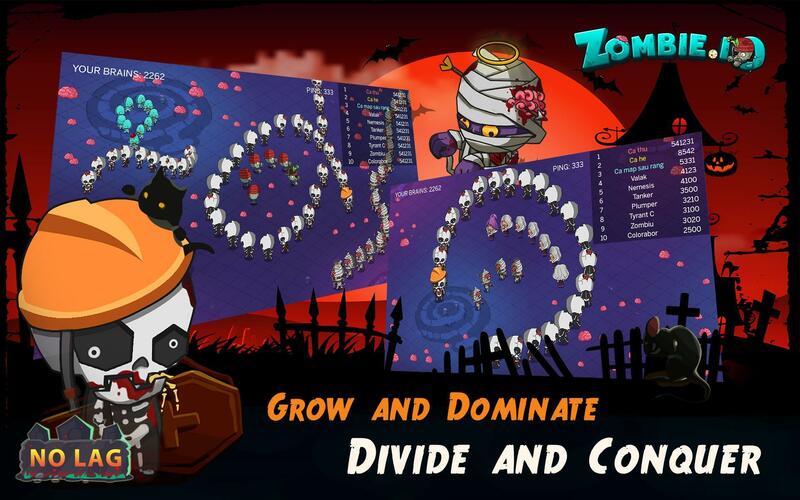 In additional you can use speed-up button to help zombies run faster and get tactic moves to kill and overwhelm other zombi line. Use this assistance smartly because it cost some brains from your sombie line. 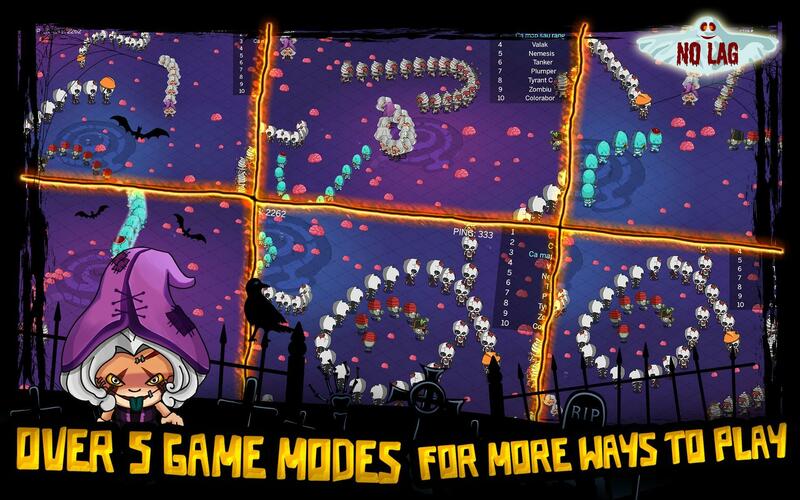 Try to play and play again to perfect your moving and slither skills. 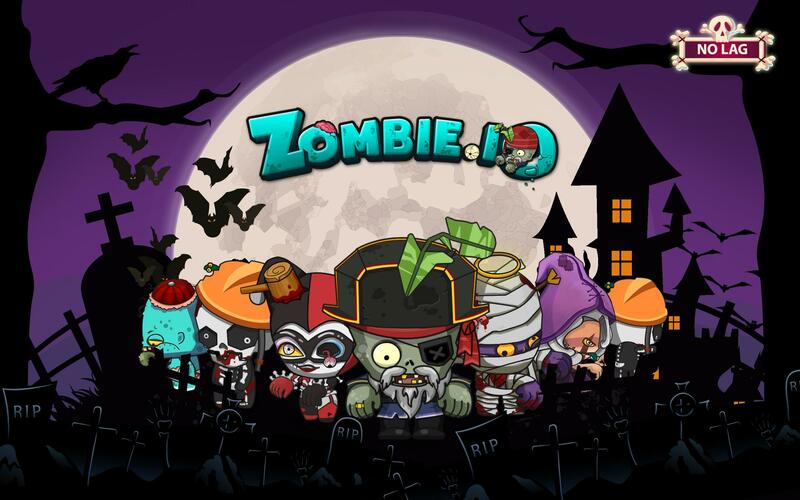 Practice this zombie game whenever you have free time, there are many bots from easy to hard for you to practice in this zombie game. 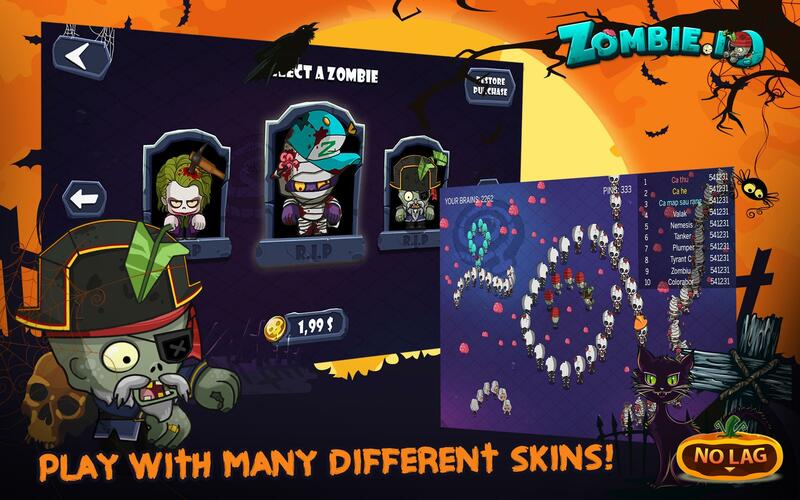 This zumbi rush you can play in online or offline mode. 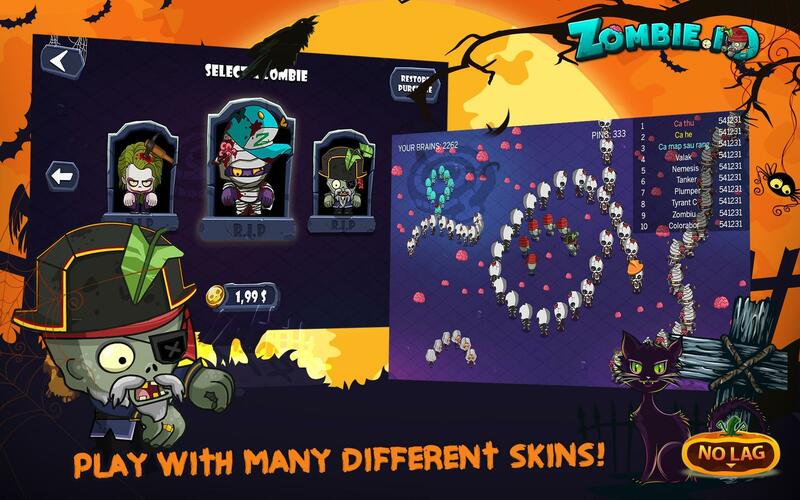 With the online mode, your zumbi rush will occur more intensely. 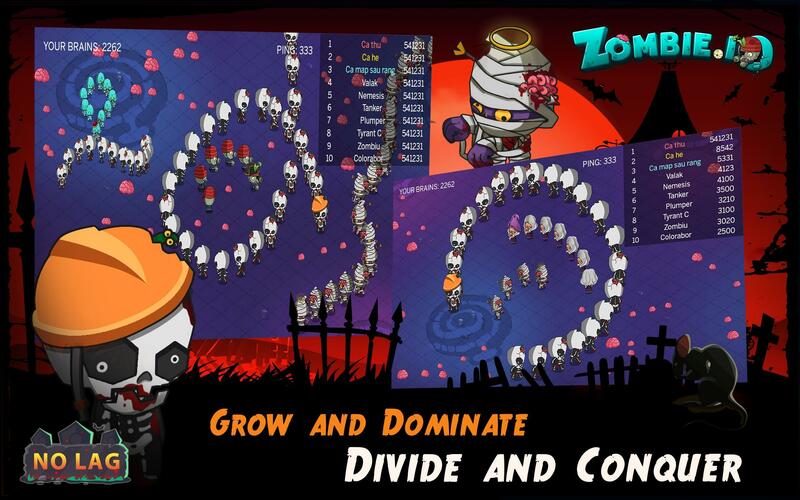 If your are a big fan of Zombie Tsunami or Plant and Zombie, you can ignore this zombie game. 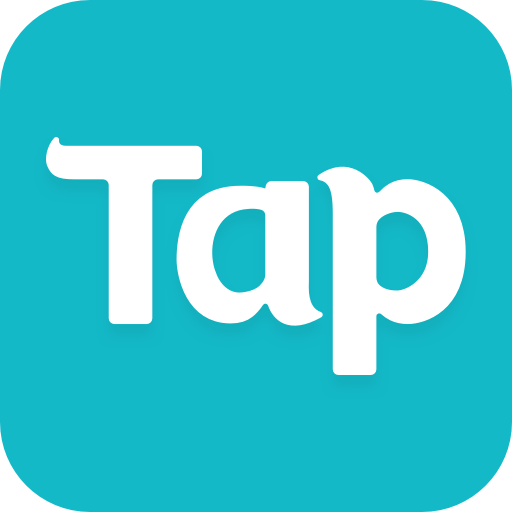 - One of the best io game! 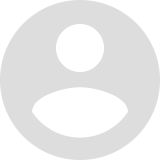 - A vast myriad of exclusive skins to customize. 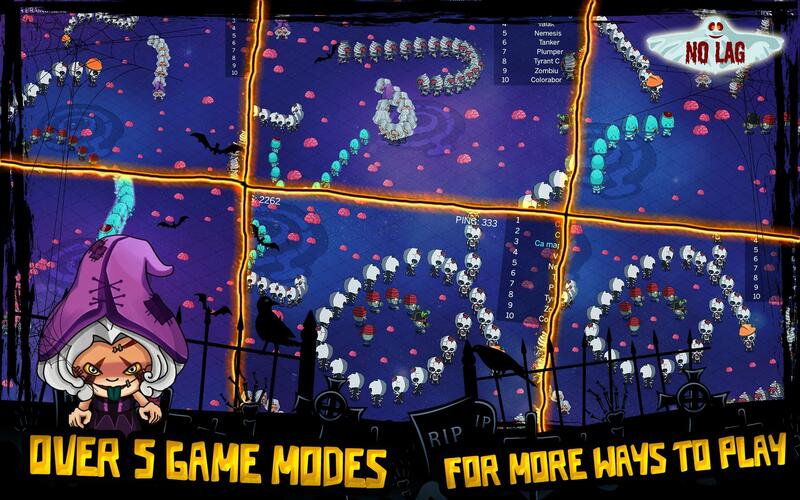 - 3 ways to control how your zombie run: Joystick, Pointer and Tap! 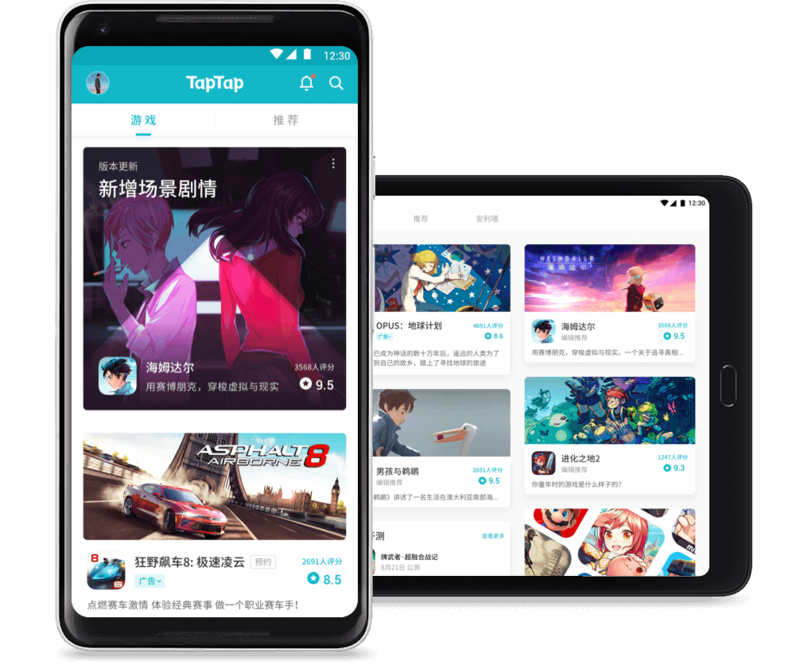 - Speed-up assistance to run fast! - Easy to play yet challenging to master! If you like our zombie game, please rate 5 star for us. 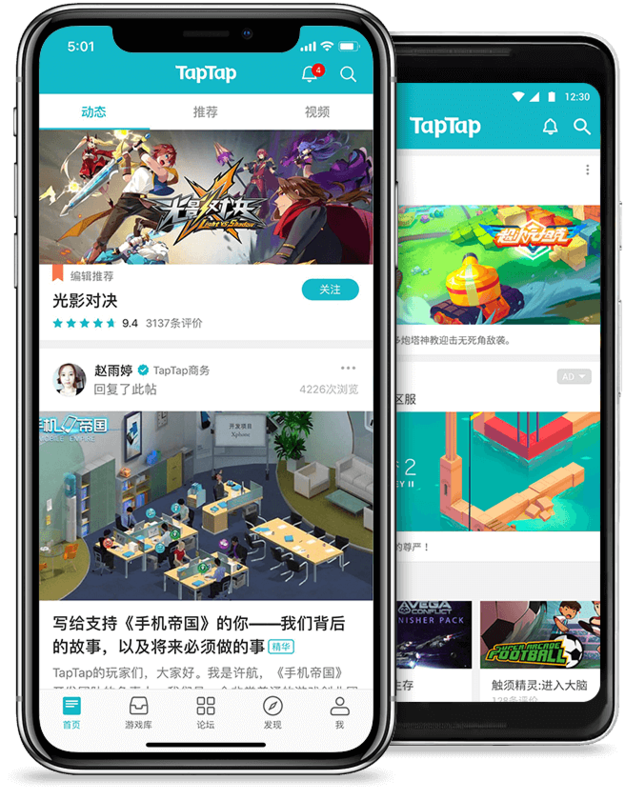 Hope that you can enjoy our zombie game after long working day.